The setting is a counseling center for teenagers recovering from substance abuse. One of their peers, Robert, has just died of an overdose. Accident or suicide? The atmosphere is tense and uneasy. Finally, each young person speaks about his or her memory of Robert. 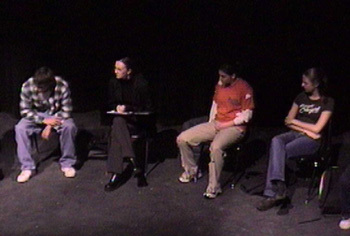 The dramatic monologues tell us a great deal about each speaker and the terrors of drug abuse. Although Robert remains something of a mystery, his impact on the others is undeniable. This is a hard-hitting work with an emotionally strong anti-drug message. With its flexible cast and minimal prop requirement, it’s ideal for contest use, touring, or for any program dealing with the topic of teenage substance abuse.